This is the question I had for God when our family felt led to move to Marina in 2012. At the time we did not feel led to do such a thing. I was just starting my new business and began working with a couple of churches just outside of the Monterey County. There are already some great churches in Marina. On the Sundays I was not out of town teaching at various churches in the area, we would visit our local churches. We eventually found a church to call home in the Monterey area. Now and then we would attend a local Marina church hoping to be able to one day find a church here in our new hometown. In the process, we met some great people and some very loving churches in Marina. But there was one thing we missed that we could not find in the area; a church that put more emphasis on the exposition of Scripture and teaching the entire Bible chapter-by-chapter and verse-by-verse. We believe that the Spirit of God works through the Word of God in the hearts of the people of God. Exposition is more than merely speaking about the bible or from the Bible; it is the claims the Bible makes of itself. It is the Word of God, that reveals the heart of God, by the power of the Holy Spirit. We believe that true Bible exposition directs the listener to the Bible’s own truth without any of our own preconceived ideas. We believe that true Bible exposition demands that the pastor critically examine the text with accuracy and basing his message on observable principles of interpretation. My Introduction to Bible Exposition. You see when I first gave my life to Jesus Christ in 2003; I attended many different churches trying to find a home. And when I had heard a friend from high school started a church in my hometown, I moved back there to see what it was all about. The church was called Reality Carpinteria. It was there that I knew I was truly home. I witnessed first hand what it meant to be a Christ-centered church where it was truly all about Jesus. And when Britt opened up the Bible and started reading the passages one after another, then helping us understand what it was saying and how we can apply those passages to our lives today, my life began to radically change. It was the first time I sat in a church service and felt like I wasn’t hearing from the pastor, but I was hearing from God himself. Jesus Freak? Count Me In! It was then that I found out about the Calvary Chapel Movement and how this type of teaching started a revolution known as the Jesus Freak movement. I learned that in 1965, a man by the name of Chuck Smith began his ministry at Calvary Chapel Costa Mesa with just 25 people. From the beginning, Pastor Chuck welcomed all, young and old, without judgment, placing his emphasis on the teaching of the Word of God. His simple, yet sound, biblical approach drew thousands of people, young and old, in to hear the Word of God, not Chuck, but through simply walking through the Bible verse by verse. 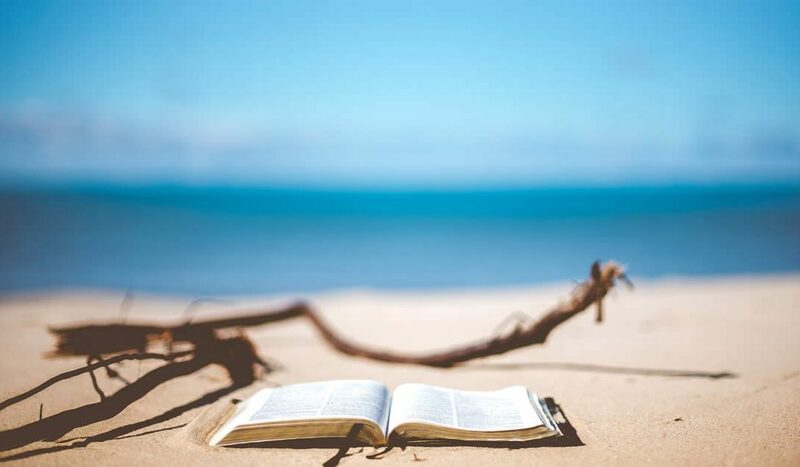 As I studied through books of the bible via sermons, commentaries, cd’s, and church services, I found that I was able to teach others about what the Bible has to say about itself. I did not go to any seminary or school of theology. In fact, I dropped out of community college my first year. I was not a grade “A” student in HS, in fact, I barely even graduated. I was still taking tests while my senior year classmates were in graduation rehearsal. Through this simple verse by verse teaching, I found myself serving and leading a home Bible study at Calvary Chapel Santa Barbara and evangelizing on the streets of Santa Barbara within just a few short years. I would never consider myself a teacher and yet by the life-changing power of the Holy Spirit and the Word of God, I now find myself with an urgent desire to teach the Word of God. But I am not the only one. The whole reason the Calvary movement multiplied is that people were finally able to explain their faith, share their faith, and teach others about the good news of Jesus Christ. One of my favorite books is a book called Harvest. It is the story of 10 Calvary Chapel pastors, from all walks of life (gang members, drug addicts, people with mental health issues, and society’s rejects), as they share how God broke through the barriers of evil, pride, addiction, complacency, and anger to carry out His plan for this vital ministry. By reading the testimonies of Greg Laurie, Raul Ries, Mike MacIntosh, Jon Courson, Skip Heitzig, and others, I learned that if God can use these guys to spread the gospel worldwide, then God can use me too. And that brings me to the beginning of this post. Why plant a new home fellowship in Marina? Because We believe God wants to begin a new work starting with a ministry that teaches through the Bible book by book, chapter by chapter, verse by verse. We believe God wants to use this type of ministry to further equip the saints for ministry, heal the brokenhearted, and to proclaim the good news of Jesus Christ to all the city of Marina and beyond. Whats with the name Connect? We believe that the word “Connect” embraces the whole mission of Jesus Christ which was to connect us with God and to connect us with each other. Come all who are weary and burdened. So if you are tired, worn out, broken, come rest and listen to the Word of God. If you are already in ministry and are serving in your own home church, we don’t want you to change churches. We believe God called you there for a reason and what a blessing it is that you are there. But we do know how tiring it can be and that you don’t always get to be refreshed by the morning’s teachings because you are serving. So we invite you to come and be ministered to so that you are refreshed and invigorated to serve at your home church on Sundays. If you have never been to church but want to learn more about what the bible has to say about life, then this is for you. None of us are worthy. We all fall short, especially myself. In fact Paul the Apostle called himself the chief sinner of all. It is not about how “good” a person is. It is about how “good” God is to us. And if you have been praying for something like this to happen here in your hometown, and would like to be more involved in this ministry, then reach out to us. This is not a solo venture. The only senior pastor we will ever have will be Jesus Christ. The rest of us just want to follow him. Geno is the lead pastor at Connect Marina located in Marina, CA. He is husband to Vivien Quiroz. They have two wonderful boys, and two needy dogs. He is passionate about Jesus, family, building community, and sharing the Word of God. Pastor Geno’s method of teaching is solidly expositional, following the Inductive Method of Observation, Interpretation, and Application. Love this, I use to live in Carpinteria & have been to the Reality Church, loved it! Father God, I come before you and ask that you lift my friend and brother in Christ to truly deliver your word in a clear and dynamic fashion. I ask you that you impart a renewed vision in my brother’s heart and fill him with new levels of your Holy Spirit and fire as we are quickly approaching the last days. Let his words be your words and let his love for you be communicated to everyone that he comes across. In your Son’s perfect name that I ask for these things. Amen bro. Thank you so much for your prayers brother. We really appreciate it. God bless bro!